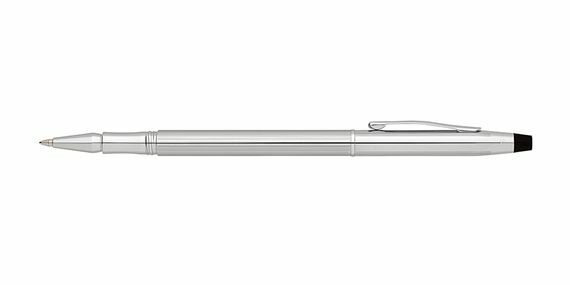 Order your Cross Classic Century Lustrous Chrome Rollerball Pen today from FahrneysPens.com. Fine Pens, Refills & Luxurious Gifts – great prices & fast shipping. 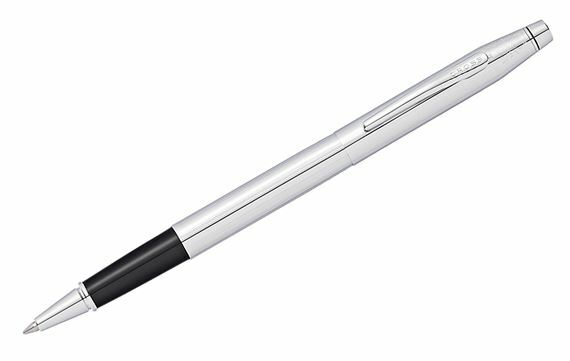 The iconic Cross Classic Century ballpoint pen profile that has inspired writers for over 60 years is now offered in a capped rollerball! Unique for a slender pen, the grip and barrel end are threaded to hold the cap securely in place. Its sleek and slim silhouette makes the Classic Century a great companion for your pocket, planner, briefcase or handbag. The rollerball holds a slim gel rolling ball refill. It ships in a Premium gift box and has Cross’ Lifetime mechanical guarantee. Each one provides the performance and dependability you expect from Cross and great style, too!